A comprehensive guide that cuts through the hodgepodge of copycat initiatives, overblown buzzwords, confusing mathematics, and misguided software, Factory Physics for Managers is a breath of fresh air for operations managers and executives. A strategy of imitation is not much of a strategy. Most every company uses the common continuous improvement initiatives. This highly accessible guide addresses but goes beyond other business approaches such as Lean, Six Sigma, and Theory of Constraints by offering a customizable plan that you can apply to any manufacturing-based industry or supply chain. You’ll discover invaluable tools for developing operations strategy and driving execution by using practical science to assess your procedures, target problems, and find solutions. You’ll learn essential life lessons from the best—and worst—practices of corporate leaders like Toyota and Boeing. You’ll find ingenious new ways to improve your leadership by predictively managing the tradeoffs that every operation faces—whether it’s more or less inventory or capacity, higher or lower customer service, or more or fewer products. Using this approach, you can tackle these natural conflicts in business through a practical, comprehensive science of operations. 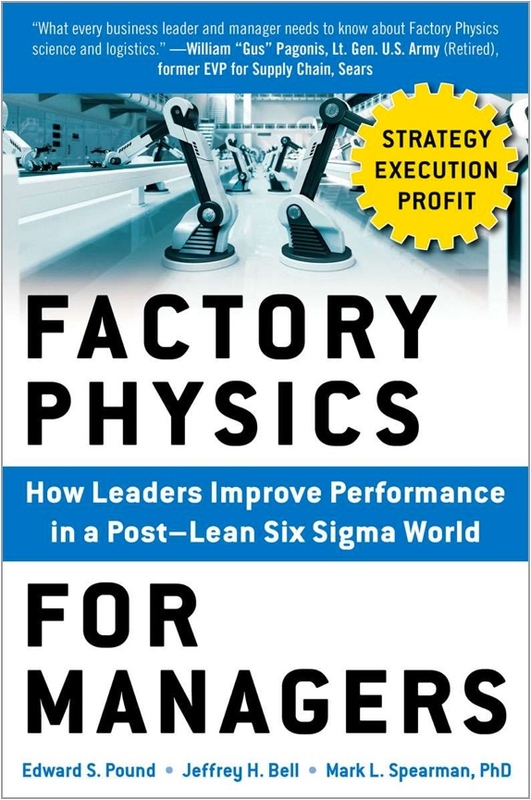 Factory Physics for Managers makes it easier to choose and execute the best strategy for better productivity—and even bigger profits.